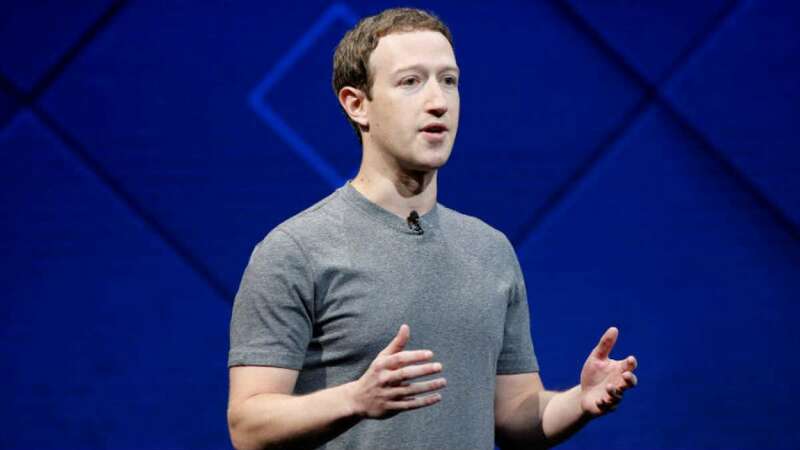 New Delhi : After much discussion, the CEO of Facebook, Mark Zuckerberg has finally confessed regarding the improper sharing of personal data of millions of users with British political consulting firm Cambridge Analyticaa. A recent report suggests the increase in figure of previously estimated 50 million to 87 millions. Zuckerberg, today, admitted as making ‘huge mistake’. Mark Zuckerberg co-founded Facebook social networking site in 2004. Following the massive data leak, he once again admitted the lapses and asked for another chance to lead the company. Facebook yesterday said data on about 87 million people - mostly in the US - may have been improperly shared with Cambridge Analytica. Last month, the number of users whose information was allegedly shared with research firm Cambridge Analytica was calculated by media reports to be 50 million. Zuckerberg told reporters that he accepted fault for the data leak, which has annoyed users, advertisers and lawmakers, while also saying he was still the right person to head the company he founded. "Give me another chance," he told reporters during a conference call when asked if he is still the best person to lead the company. "This a huge mistake. It's my mistake," Zuckerberg said, taking the charge for the massive data breach. "Yes. People make mistakes and learn along the way. I'm the first to admit we didn't take a broad enough view of what our responsibilities are...What people should hold us accountable for is learning from the mistakes," he said. He said he was unaware of the board asking him to step down against the conditions of the data breach scandal. "Not that I am aware of...Nobody has been fired because of this scandal," he said when asked if the board has asked him to step down in the wake of the Cambridge Analytica scandal. "I have not, due to the CA situation, yet. We're still working through this. At the end of the day, this is my responsibility. There have been a bunch of questions about that. I started this place, I run it, I'm responsible for what happens here," he told reporters. "I'm not looking to throw anyone else under the bus for mistakes we made here," he said. Zuckerberg said the scandal has not much affected thebusiness. "I don't think there's been any meaningful impact that we've observed. But, look, it's not good ... It still speaks to people feeling like this was a massive breach of trust and that we have a lot of work to do to repair that," he said, seeking to downplay the crisis that followed the data breach. Responding to a question, Zuckerberg said it will take years for Facebook to fix the problem. "It will be a multi-year process to combat disinformation," he said, adding that this will be a "never-ending battle." "I'm confident we're making progress against these adversaries but they're very sophisticated. We can't expect to fully solve a problem like this," Zuckerberg said. He recognized that Facebook team did not work enough to check fake news. "We didn't do enough, we didn't focus enough on preventing abuse and thinking through how people could use these tools to do harm as well. And that goes for fake news, foreign interference in elections, hate speech, in addition to developers and data privacy," he said. "This hearing will be an important opportunity to shed light on critical consumer data privacy issues and help all Americans better understand what happens to their personal information online. We appreciate Zuckerberg's willingness to testify before the committee, and we look forward to him answering our questions," said committee Chairman Congressman Greg Walden, and the Ranking Member Frank Pallone.